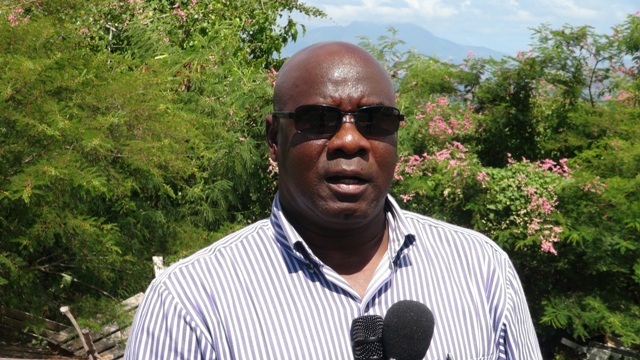 NIA CHARLESTOWN NEVIS (OCTOBER 08, 2015) –– Minister in the Nevis Island Administration (NIA) Hon. 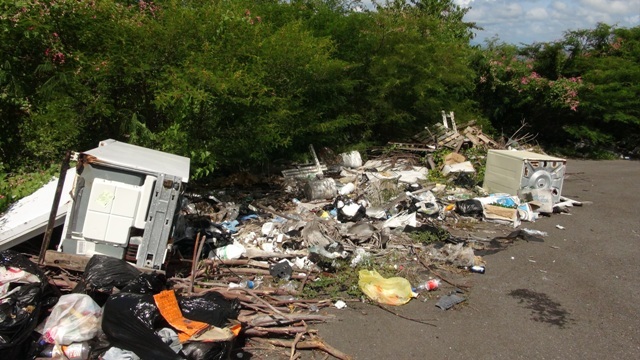 Alexis Jeffers, is calling on residents to help arrest illegal dumping of refuse, a practice which continues to occur indiscriminately in areas throughout the island. Mr. Jeffers made the call on October 07, 2015, after the authorities were alerted by a concerned citizen who came across the illegal practice occurring at Nugent Heights, an area on the outskirts of Charlestown that is earmarked for housing. “It is a practice that we as an administration and we as Nevisians have to shun and we have to speak out loudly against this type of practice. This is illegal dumping and it seems like someone or some persons used this as a site to dump their garbage, circumventing the fact that they would have to go to the Nevis Solid Waste compound over at Long Point. “This is a practice that the entire administration, the Nevis Solid Waste Management Authority and also the Nevis Housing and Land Development Corporation and all of Nevis, we are all upset about what is going on here and…we want to bring an end to this,” he said. The Minister, who is the Chairman of the Board of the Nevis Housing and Lands Development Corporation, described the refuse strewn in the area as unsightly, unhealthy and unacceptable. 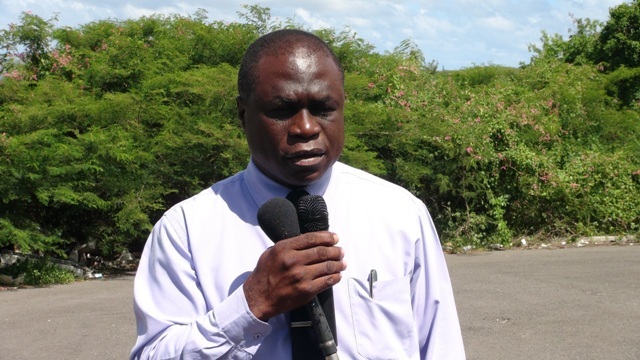 He expressed hope that as the public becomes more aware of the issue, it would hopefully serve as a positive step in the eradication of illegal garbage disposal on Nevis. General Manager of the Nevis Solid Waste Management Authority Andrew Hendrickson who accompanied the minister to the site, said it was a despicable act and anyone in their right mind would not be defacing Nevis in that manner. “At the Nevis Solid Waste Management Authority, we take this as a very serious offence and we are looking forward to when the laws can be harshly applied to the people who are doing this kind of thing,” he said.